Level 6, No. 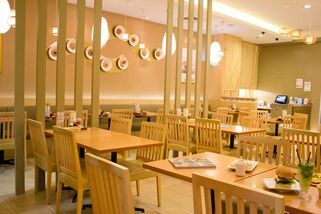 6.24.1B, Pavillion KL, 168 Jalan Bukit Bintang 55100 Kuala Lumpur. 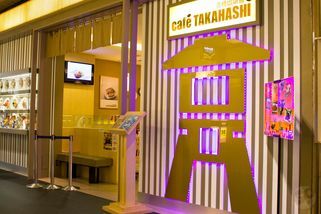 For those who love Western food but can’t get enough of Japanese either, Café Taka, inside Pavilion Kuala Lumpur’s Tokyo Street, gives the best of both worlds in one convenient place. 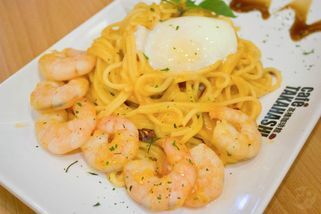 The Japanese-inspired café and restaurant, decorated in a contemporary Japanese style with wood and a modern interior, offers an assortment of delicious and healthy Japanese cuisines as well as pasta, pizza and other Western foods with a Japanese touch. 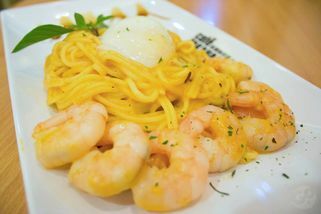 Mouth-watering favourites include the Takahashi Pizza (crispy, thin crust dessert pizza topped with omelette and banana), Spicy Prawn Carbonara and Black Pepper Beef Burger. Open daily from 11.30am – 10pm, every day. 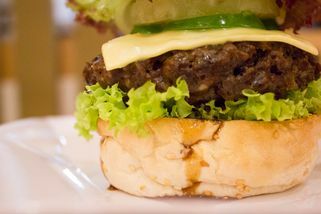 I'm order a burger but just so you know, it's not the typical local or Fast Food burger patty inside it! Its a juice a fried chicken chop with the pineapple slice, taste like sweet and crispy. A bits of combination of some tropical flavour.... Nicely done! 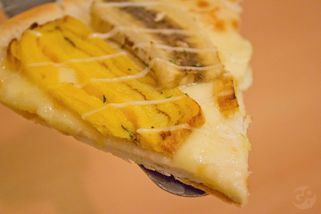 Tried on their Takashi Pizza, it is tasty!! 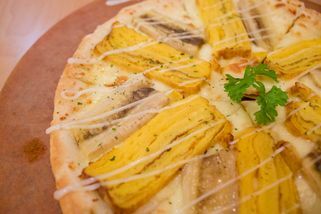 Thin crust (optional), soft omelette and Japanese fish cake, big and round pizza.